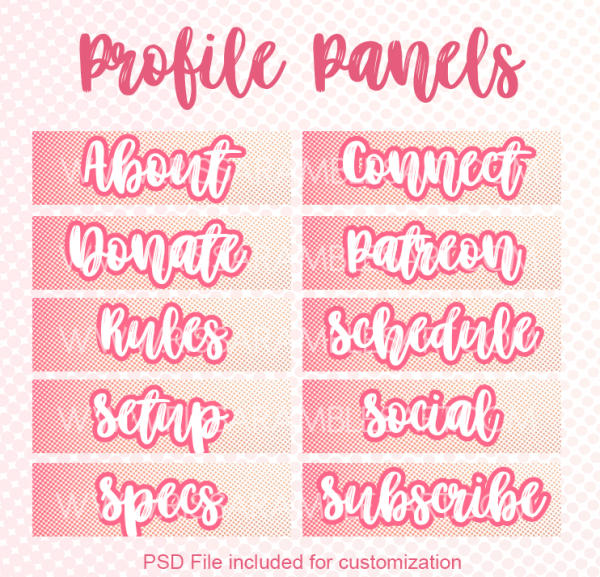 These adorable and girly Twitch panels (or Description Tiles) are perfect for streamers who want a pop of color to their channel. Included a wide variety of options for every situation needed as a panel. Blank canvas is also included for customization. NOTE: Photoshop CS6 or higher is required to open PSD.